I couldn’t be happier about kicking off my blog tour. The love you guys are showing for How We Fall makes it all worth it– yes, even the stress dreams and late nights and all these debut-author nerves. Release week is almost here! The launch party is 3 weeks from today, and don’t forget– you’re invited! 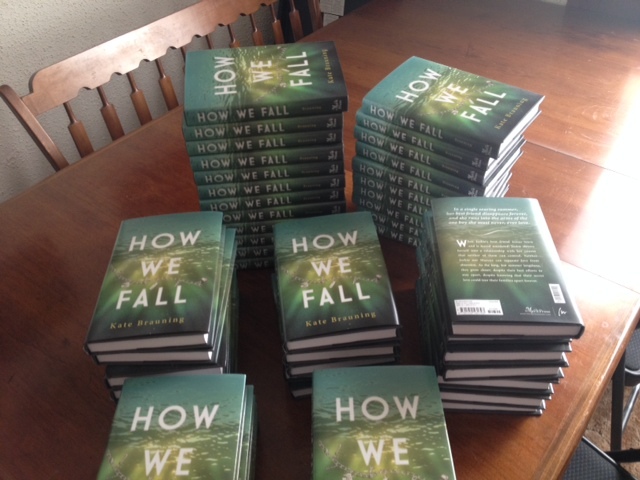 and finally, my publishing house launched a Goodreads giveaway of 25 hardcovers! Want a copy? You can win one! And of course, my brand-new author website launched recently, too. 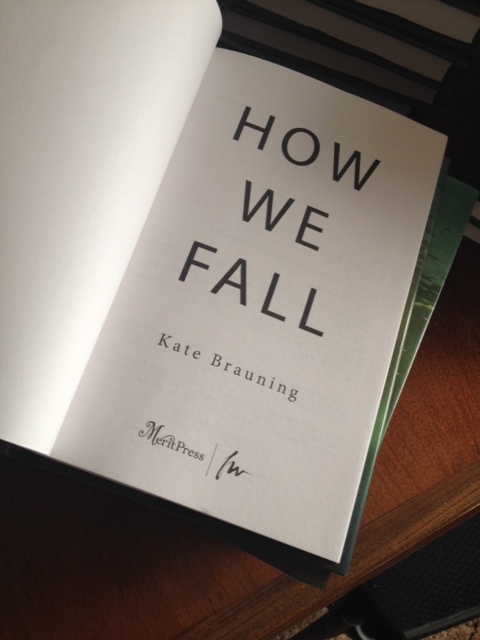 It’s at www.katebrauning.com, and it has the first chapter of How We Fall, plus website-only extras, and a nice long new author bio that took me forever to write. 🙂 I’d love it if you stopped by the site and said hello! 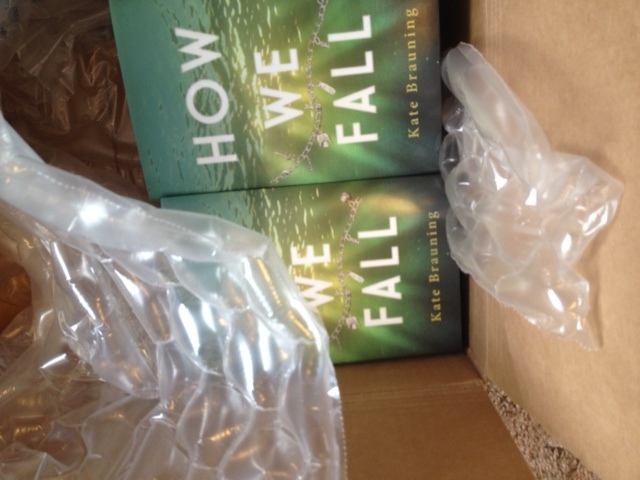 The last bit of news is that my author hardcovers came! Aren’t they gorgeous? Holding the final copy of my very first book was a crazy moment. 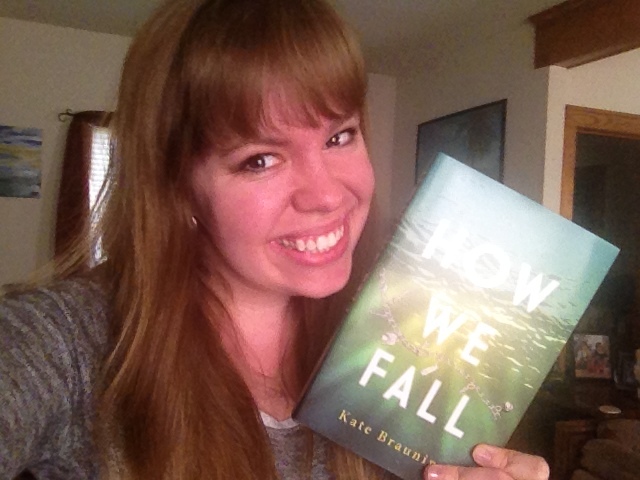 This entry was posted in Uncategorized and tagged blog tour, debut author, How We Fall, Kate Brauning by KateBrauning. Bookmark the permalink.